We are happy to report that 16 girls who were recently rescued from the dangers of human trafficking are currently living at our ‘She Has Hope’ rehabilitation home in Nepal. All of these girls are now safe, healthy, and happy, receiving counseling and medical care, and room & board in a safe and peaceful environment. The girls are also enrolled in our skills development program where they become proficient in several craft-making, seamstress, and cooking and gardening skills, and receive support in basic literacy and the fundamentals of small business accounting. Through their craft-making and seamstress work, the girls learn to sew various popular styles of Nepalese and Indian dresses, make stuffed animals, and knit sweaters, gloves, and baby hats. They also learn to make beautiful jewelry items, such as necklaces, bracelets, and earrings. Many of the girls’ crafts are sold online at SheHasHope.org, and all proceeds directly support their rehabilitation. Photo inset: (Top-left): Learning to knit sweaters, gloves, and baby hats are some of the many skills the girls at our ‘She Has Hope’ rehabilitation home learn before graduation. (Top-right): Girls in the rehabilitation program learn advanced gardening skills; produce harvested is used in their cooking classes. (Bottom-left): The girls are tested on several popular Nepalese clothing patterns which they have to commit to memory before receiving their seamstress certification upon graduation. 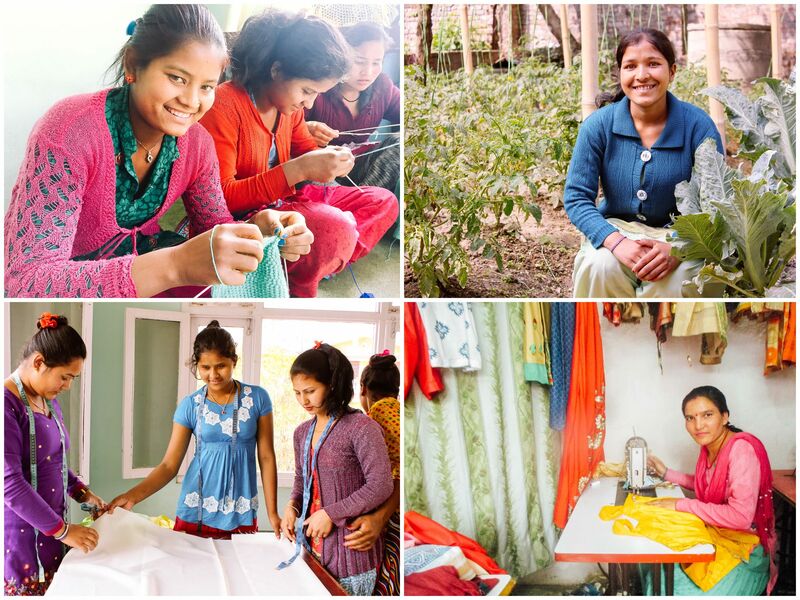 (Bottom-right): Kalyani, who graduated from our program last year, now owns her own tailoring business.